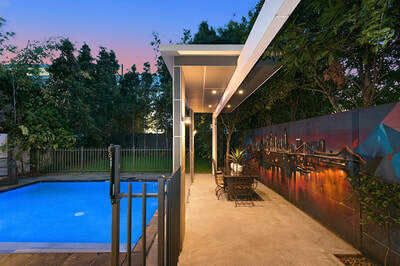 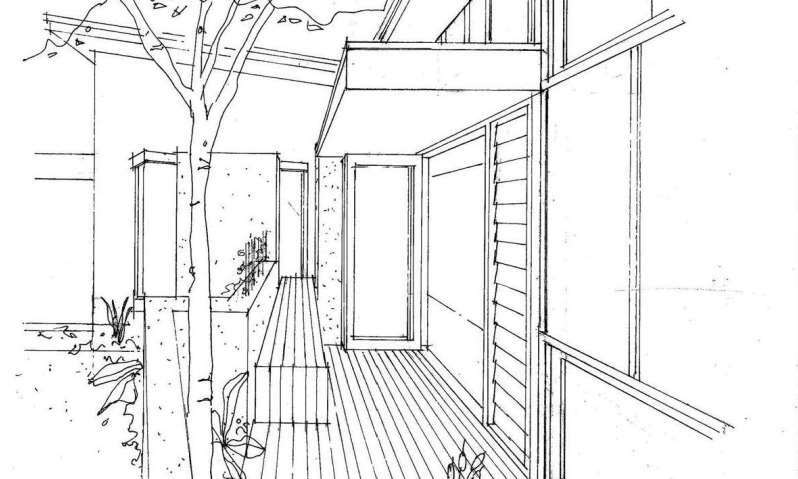 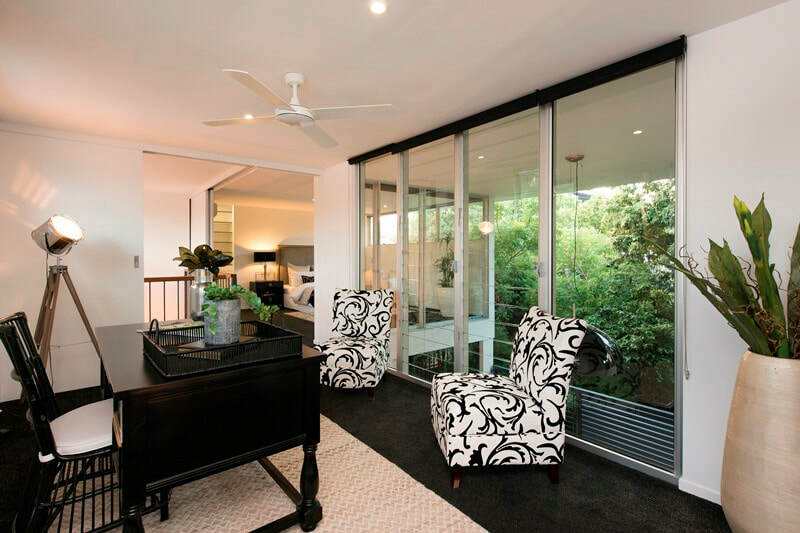 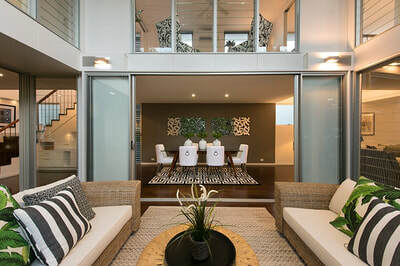 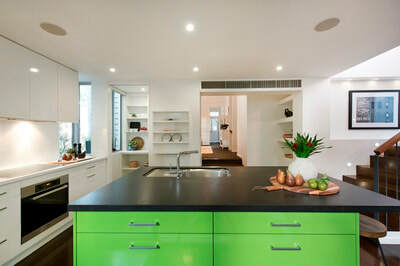 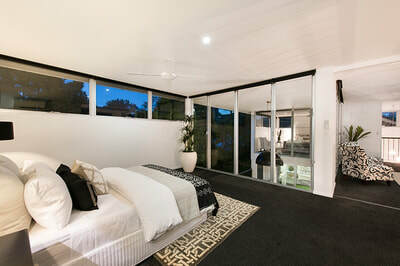 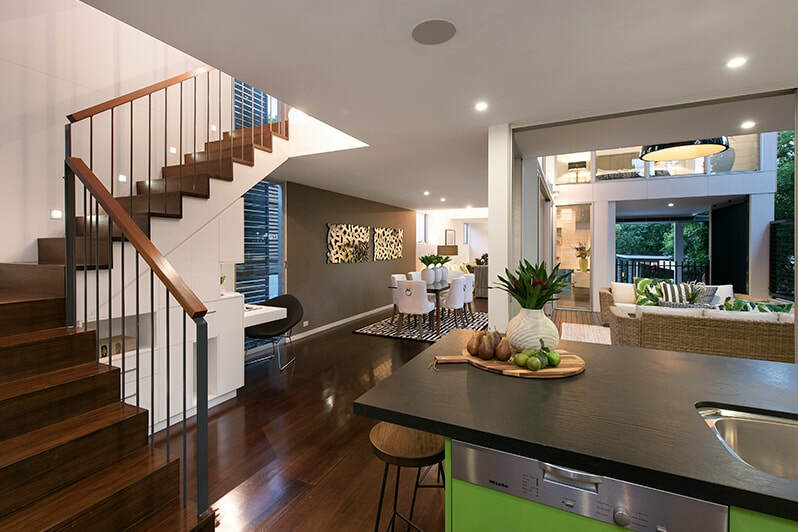 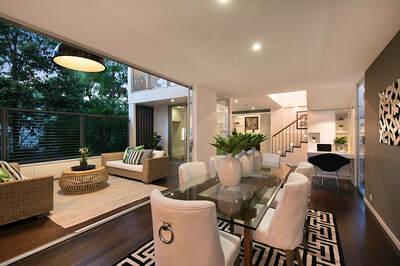 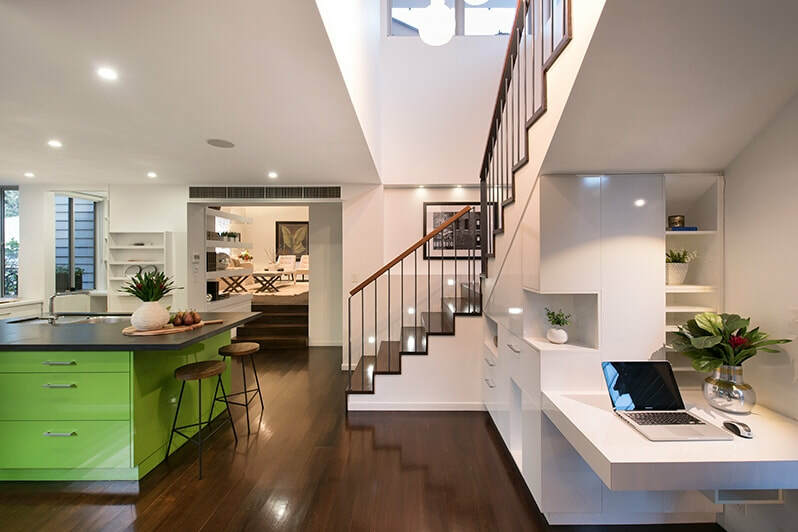 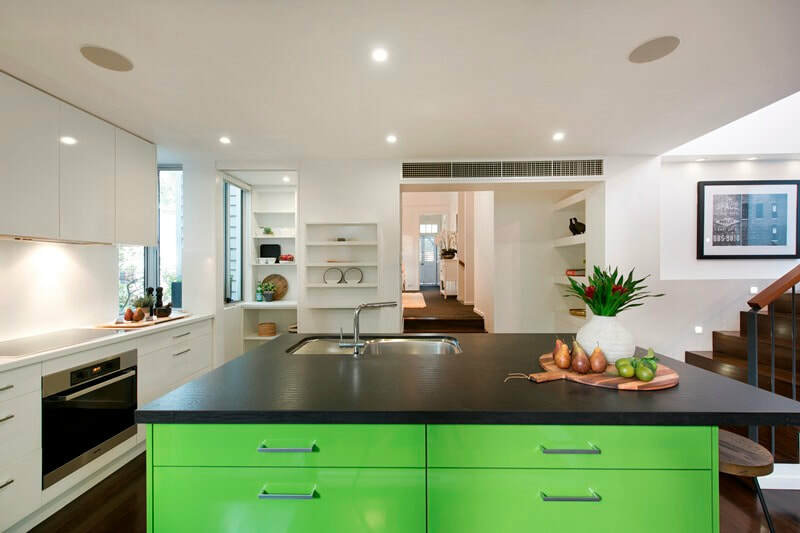 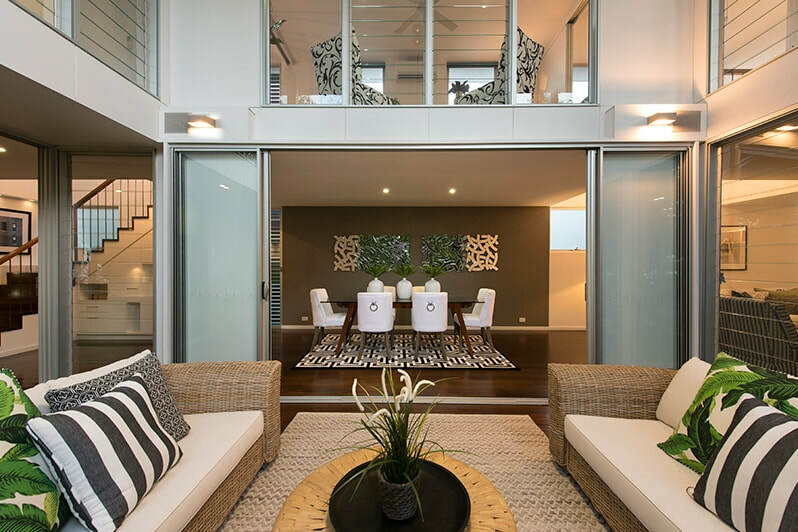 A 3 bedroom Queenslander in New Farm was extended to provide more bedrooms and living spaces. The extension included a central deck open to both levels, which allows light and air to penetrate to all living spaces and gives an airy, open feel to the house. 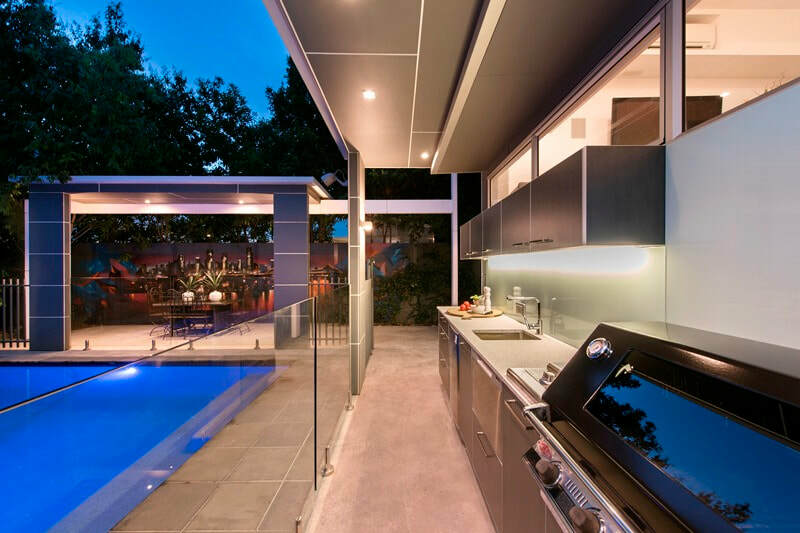 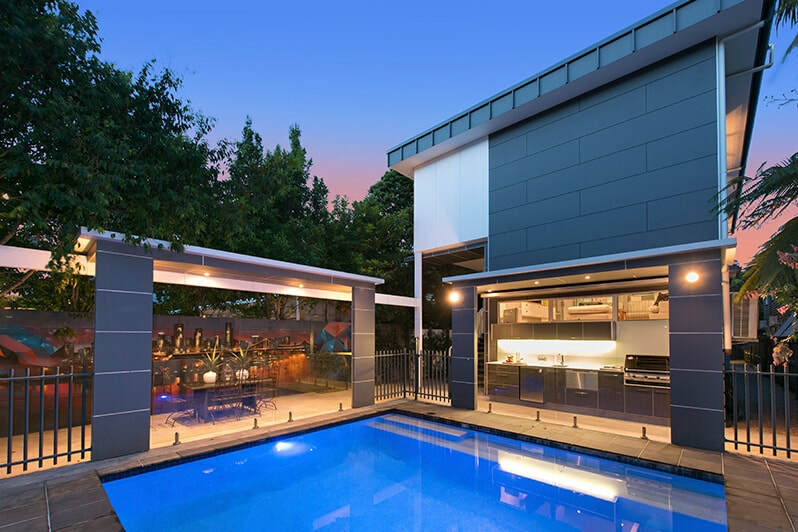 To maximise the use of a small back yard, gazebos were built around the pool for an outdoor kitchen and eating area.